Everyone should read this. The government is more intrusive than imagined. This situation happened to the mother of a former candidate for the U.S. Senate. It would still have happened to his mother even if he had been a U.S. Senator. TSA Inspectors are not the only people invading your private life and the worst part is you HAVE to give them permission. Warning: your blood pressure may be affected! Thanksgiving Day was kind of a melancholy day for me. We moved the last of my 91-year old Mother’s things out of the house my Dad built almost 30 years ago. But I was not prepared for running head on into our nation’s Patriot Act in the process. by Curtis Coleman, Contributing Author: I spent much of Thanksgiving Day last week moving the last of my Mom and Dad’s things out of the house Dad built almost 30 years ago. Dad passed away six years ago and Mom has remarkably lived alone until the age of 91. We closed on the sale of Mom’s house this week, and that’s when I unbelievably found myself face-to-face with our Nation’s Patriot Act. When signing the closing documents on the sale of her house, I was required to sign a document acknowledging that the federal government could investigate my almost 92-year-old Mom to confirm that she wasn’t a terrorist. And because I was acting on her behalf, one for me also. But that was only the beginning. When we contacted the bank about opening a new account for my Mom to deposit the proceeds from the sale of the house, we were told that the Patriot Act required by Mom – yep, my 92-year-old-mom – to be present at the bank with identification in hand. It is critical for Americans to understand that the twin pillars of our liberty are property and privacy. When either our right to own property or to privacy is eroded, our liberty is in precarious danger of disappearing. 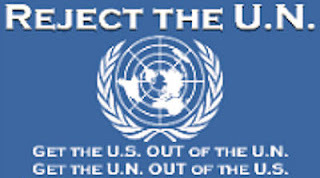 Tags: Benjamin Franklin, liberty nor safety, Patriot Act, right to privacy, right to property, Curtis Coleman, Coleman Commentary Podcasts, Government and Business To share or post to your site, click on "Post Link". Please mention / link to the ARRA News Service. Thanks! Counselors/therapists are not a necessarily a highly respectable bunch as a whole, but one thing that is a bedrock sacred vow is confidentiality. Apart from laws and ethical codes, most of us would almost die than violate the privacy of someone spilling their most vulnerable guts to us. 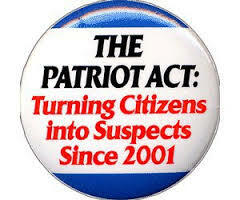 Enter the Patriot Act. This gave the government the "right" to come into our offices, confiscate client files without explanation, and REQUIRE US NOT TO INFORM OUR CLIENT.